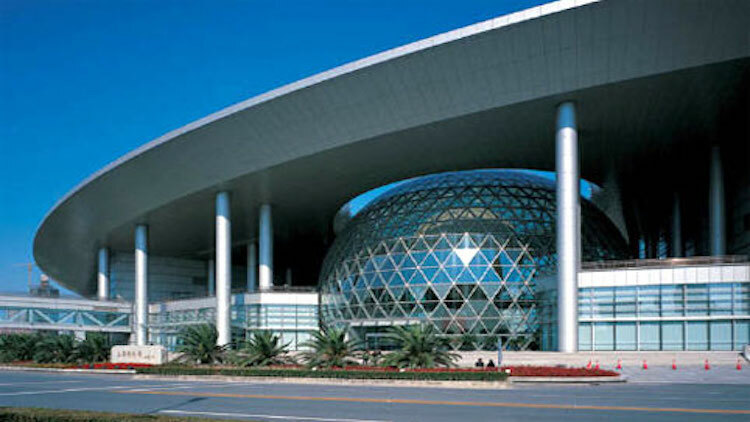 One of Shanghai’s newest museums, the Shanghai Museum of Glass is also one of the most impressive. The exhibitions of ancient and contemporary glassworks on display include some stunning specimens, but it’s the building itself that has made it one of our favourite museums in town. Set in a huge former glass-making factory, the museum’s interior is like a cross between a house of mirrors and David Bowie’s lair in Labyrinth. Walking through the museum’s numerous rooms feels disorientatingly like you’re inside one of the artistic glass objects that it displays. The building is a work of art in itself. 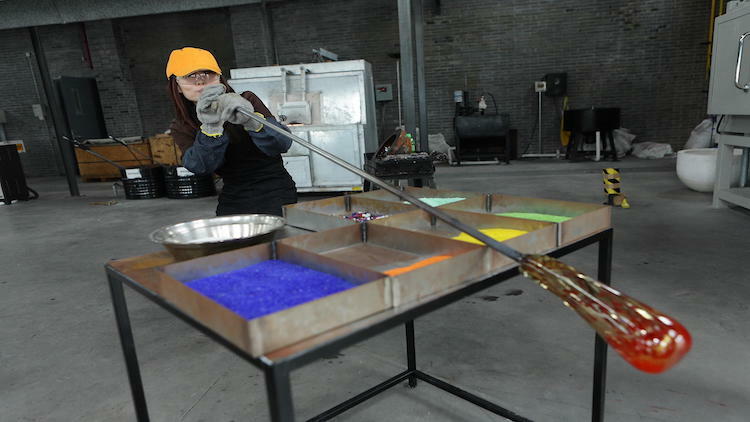 Must-see In a large, open industrial space at one end of the museum, regular glass-blowing classes are held. You’ll need to book ahead and it’ll cost you 380RMB/20 minutes, but it’s a unique experience. 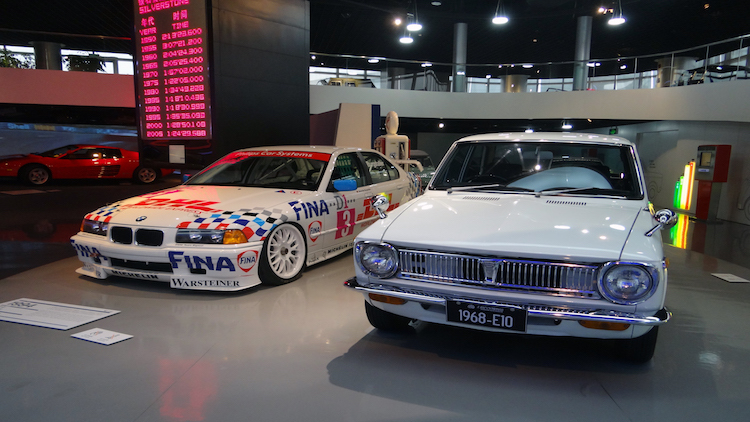 Stranded in Jiading district, the Shanghai Auto Museum – spacious, sinuous and bright – is a delight to visit, despite the awkward location. Displays have the best combination of English- and Chinese-language descriptions of any museum in the city. There’s a wealth of information, starting with the development of the wheel all the way up to the aerodynamics and fuel efficiency of modern cars. If that sounds dry, there are 75 different models of car to ogle across three floors. Even those who aren’t petrol-heads will find it hard to resist the beauty of many of the motors in the museum’s collection. Each car gleams as if it just rolled off the production line. But it’s not all eye candy. Visitors can get hands-on with the signs on the second floor; many are touchscreens that allow you to compare different models of car. Other monitors allow you to view information contemporary with the creation of cars. For 1960s models, for instance, you can read about the Vietnam War or listen to Martin Luther King’s ‘I have a dream’ speech or watch clips of movies. There’s also a section with headphones that allows you to listen to a variety of popular Chinese songs from across the 20th century. The third floor is even more interactive, with Scalextric and various games to play. Sadly, not everything on this floor is always in working order, but that doesn’t devalue the overall excellent experience. Must-see The museum’s second floor is a treasure trove of beautiful classics including a Jaguar E-Type, Mercedes-Benz 300SL and 1966 Mustang GT, among many others. 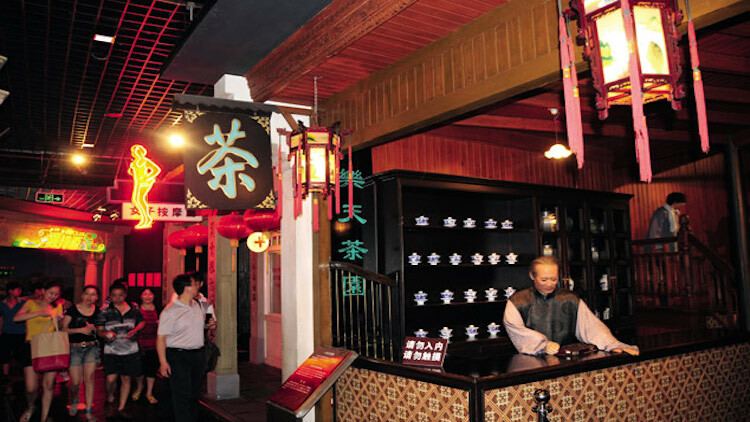 For most of the 20th century Shanghai was the cradle of the Chinese film industry and this museum stands as testament. Spread over four floors, the museum contains 3,000 artifacts, multimedia installations, a 4D cinema, working production studios and a café. Important events in the history of Shanghai cinema as well as the major players are showcased through interactive panels (in English and Chinese) and video clips (with English subtitles). 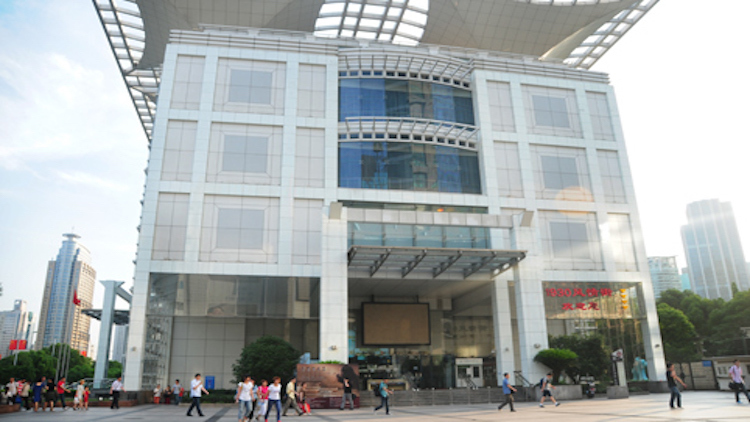 Opened in 2013, it took Shanghai Film Group, the investor, five years to build and cost around 1 billion RMB. Most space is given to film distribution (including scale models of the city’s first cinemas) and the history of Shanghai’s major studios. 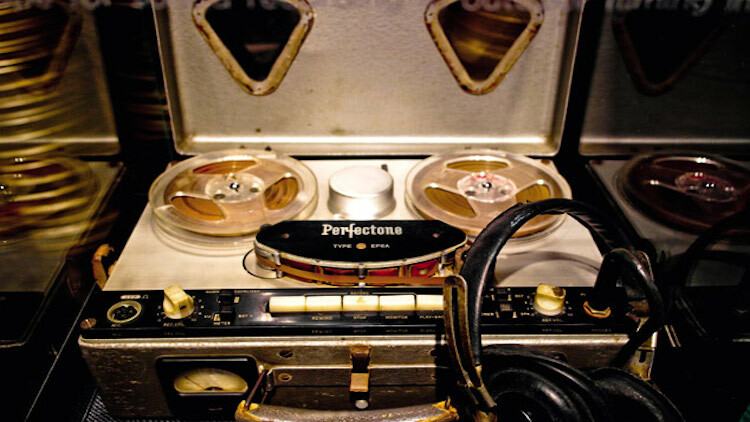 A wide range of props and vintage equipment, such as a 35mm multichannel sound reproducer from 1986, are showcased on the third floor. It all makes for an impressively modern history museum. Must-see The first floor’s interactive studios where visitors can take part in part in the post production process. Our favourite section is the ability to recreate movie sound effects, which happen to be artificially created by the sorts of daily items you’d least expect. Once marooned near Dishui Lake in southern Pudong, the China Maritime Museum is thankfully now much more accessible since the opening of Line 16.This towering museum is filled with model boats, historical shipping relics and even a pirate-themed 4D cinema. The main route through the museum takes you past the major nautical developments in China throughout history, from models of early rafts up to examples of the clothing warn by modern day deep-sea explorers. 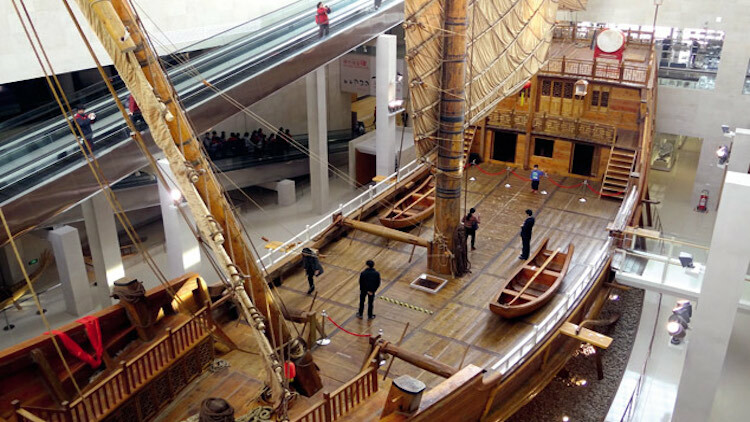 A spectacular recreation of one of famous Chinese explorer Zheng He’s ships is the centrepiece of the museum and a significant portion of space is given over to He and his seafaring voyages. The more ‘interactive’ elements include learning how to tie naval knots, a welding computer game and clambering aboard the central model wooden boat. The 4D cinema, with its badly dubbed slapstick pirate film, feels a bit tacked on and is best skipped. Must-see A 3D simulator, which is made to look like the cabin of a cargo ship, takes you along the Huangpu river, sailing past the former Expo site and up to The Bund. It looks cheesy at first, but the visuals pull you in and successfully make you feel like you’re on a rolling boat, despite the floor not moving at all. The newly opened museum features six levels across 44,517 square metres of space, housing 10,000 artifacts from all seven continents. Not too shabby. The space welcomed 10,000 visitors on its first 'soft opening' day last weekend, with lines edging outside Jingan Sculpture Park, where the building is located; most of the crowds were asked to come back another day. The ones who did make it inside after hours of queuing discovered it was well worth the wait. The word to describe the Natural History Museum is ‘comprehensive’, and you’re advised by the museum (and us) to put aside at least four hours of your day in order to absorb everything. There's a 4D movie theatre, an outdoor exhibit garden, and numerous exhibit spaces taking you right through from the Big Bang to a lifelike recreation of a busy African savannah to scale models of early Chinese agricultural communities. Must-see Some of our favourite characters include the animatronic oviraptor, the Tolkien-esque-ly named prehistoric sabre-toothed cat ‘Smilodon the Devastator’, and the extraordinary-looking ocean sunfish, but there’s so much more besides. Met by an ostentatious gilded monument of Shanghai’s skyscrapers as you enter the lobby, there should be no doubt that this museum is dedicated entirely to Shanghai’s modernization and urban development. Yet, despite the slightly pompous first impression, the Urban Planning Exhibition Centre is far from pretentious and one of the most interactive museums in the city. Spread across five floors, with one temporary exhibition space that changes every three to four months, the museum presents Shanghai’s urban renewal through architectural scale models, old photographs, multimedia and interactive games. Although the exhibition here can be a bit dry at times, the immense scale model portraying central Shanghai in its entirety is worth a visit alone. Must-see The enormous scale model of the city on the third floor is the main reason to come here. Occupying almost the entire floor, the model is surrounded by visitors pointing excitedly to their homes (unless they live in the very outer reaches of Putuo or Minhang that is) and other familiar landmarks. The sheer scale of it all is worth the 30RMB entrance fee alone. 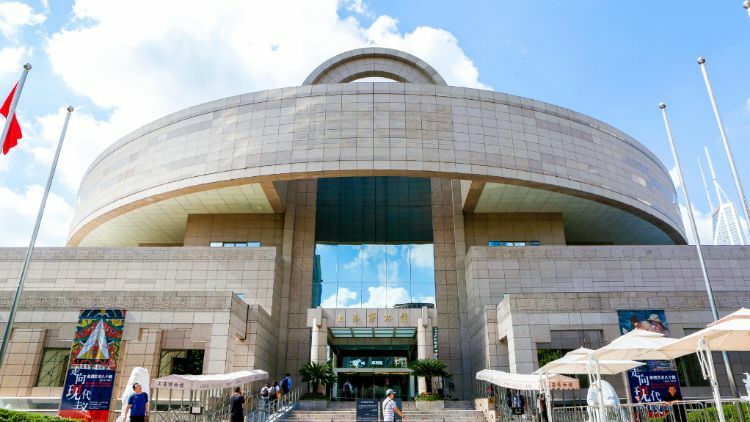 Shanghai Museum has easily one of the most impressive collections of historical artifacts in the country. The trouble is, the sheer quantity of it is overwhelming. As important as they are, entire rooms given over to calligraphy or coins can be wearing for even the most ardent history buff. Fortunately, the museum has been free since waiving its entry fee in 2008 and this allows for quick visits. Good for a few hours, but, ultimately, the Shanghai Museum proves that bigger isn’t always better. Must-see The fourth floor’s collection of traditional ethnic minority costumes can feel a bit tokenistic following all the Han-dominated history below, but it also offers a refreshing burst of colour when you get tired of looking at yellowed scrolls. Another often overlooked attraction, the Shanghai Municipal History Museum in the base of the Oriental Pearl Tower provides a whistle-stop tour through ‘old Shanghai’ via an array of scale models and waxworks. In contrast to the numerous lifeless waxwork displays at museums across the city, here visitors are free to clamber into the mock street, shop and bar scenes for photo opportunities. In fact, taking photos seems to be the main draw (there’s even a green screen room where you can have your picture superimposed onto old city scenes). The museum is fairly information-light, but the models of opium dens and courts keep things interesting for a few hours. Must-see As impressive as the models of The Bund and Nanking Lu in the 1930s are, our favourite section is the walk-through area of neon-lit massage parlours and bathhouses from the same period, which show just how far Shanghai has come. 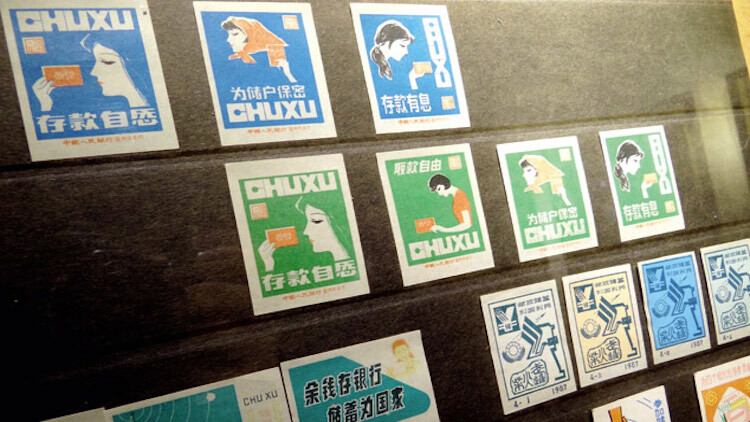 Just around the corner from the Jackie Chan Museum – which we’re starting to doubt will ever open – the Matchbox and Brand Museum celebrates Shanghai’s business and advertising legacy with displays of classic ads, old packaging and, in particular, vintage matchboxes. Shanghainese pride is on full display as collections of old biscuit cans, insect repellents and Shanghai lady posters chart the progress of the citys’s branding industry from the Qing dynasty to modern day. Along the way there are tributes to Shanghainese businessmen such as Yang Jichuan (the ‘King of the electric fans’) and Zhu Baosan (the ‘King of cooking oil’). The building itself is worthy of note, too. One wall is decorated to look like a giant matchbox, while the entrance way is propped up by two enormous match pillars. The rolling grounds on the north bank of the Suzhou Creek (the museum is part of the creekside area’s significant redevelopment in recent years) also make for a pleasant stroll, as does the fantastic Changfeng Park just across the road. Must-see The best exhibit is left until last. On the third floor, there’s a technicolour sea of matchboxes, arranged in rows by country and province that blur the line between art and commodity. A museum about exams might not be the most exciting of prospects for an afternoon out, particularly when visiting involves a trip to Jiading district, but the Chinese imperial Examination System Museum, part of the Jiading Museum complex beside Huilongtan Park, is actually far more interesting than it may sound. True, the English language captions are limited (‘paper for cheating’, for example, does little to enhance your experience of looking at a Qing dynasty cheat sheet), but there are some interesting displays. 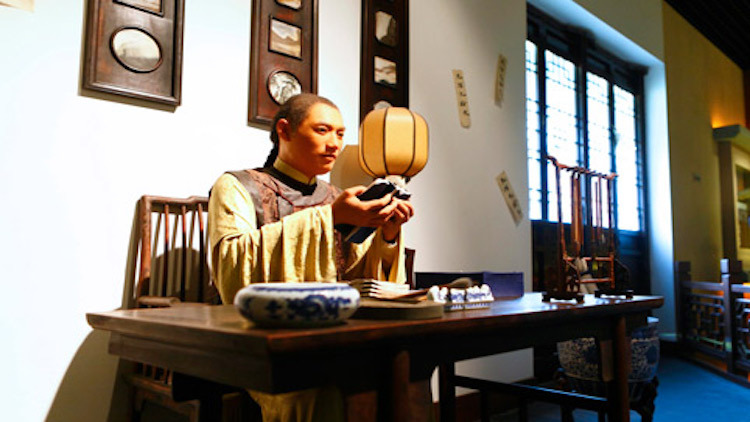 The imperial Examination System, which began in the Sui dynasty in 605AD and continued until 1905, is explored via the usual museum staples of waxworks, scale models and displays of various artifacts, mostly from the Qing dynasty. The central exhibition hall also features a section on the international influence of the Chinese imperial system and features a quote from an 1888 edition of The Westminster Review stating that China’s approach deserves ‘termless laudability’. Must-see One of the main reasons to visit the museum is its setting. Housed in a Confucian temple, the grounds and gardens are almost as interesting to explore as the exhibits themselves. The museum is at its best when the two combine – such as in the recreated outdoor examination cubicles where scholars would spend nine days in the hope of making the grade for the civil service. One of the city’s many decidedly niche museums, this hidden room within the Oriental Art Centre has a surprisingly broad appeal. Guided tours are led through the small room and its fascinating range of mechanical music players and though the tours are in Chinese only, there’s plenty for non-Chinese speakers to enjoy. 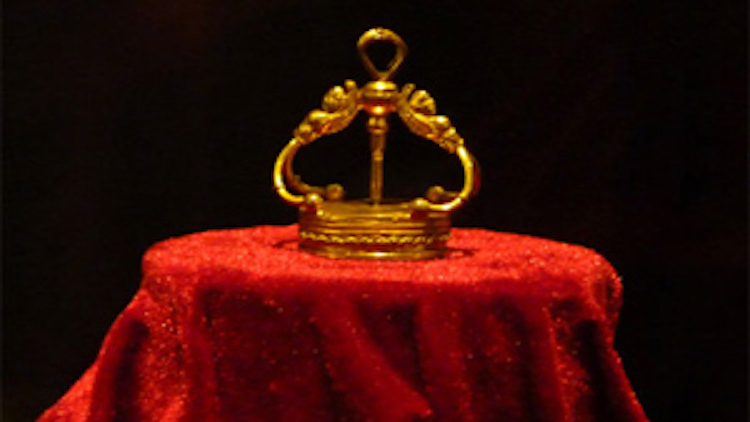 The world’s oldest music box (a tiny gold object made in 1796) is here, as are music boxes made to look like birds in cages, music boxes operated by sitting on a chair and music boxes shaped like pistols. Most of the exhibits are Swiss-made and while a music box musuem may sound bizarre, you can’t help but marvel at the mechanical wizardry and skilled craftsmanship on show. Must-see Towards the end of the tour, you’re given a demonstration of a remarkable moving sketch artist model, which is more like a mechanical puppet than the small trinket boxes that may come to mind. 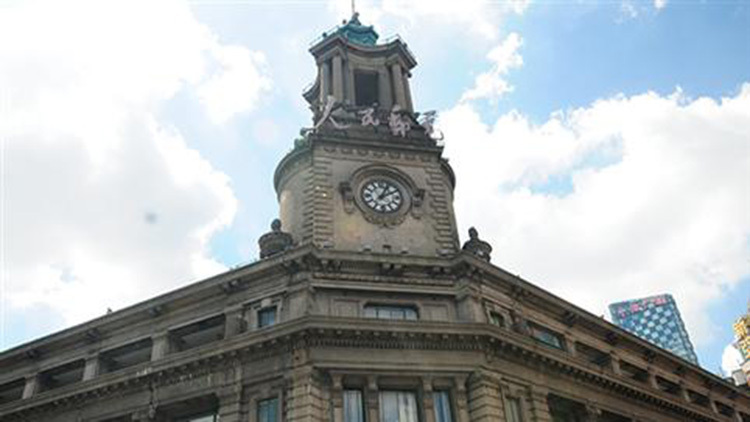 Housed in a beautiful 1920s building which was formerly the city’s China Post headquarters, the Shanghai Postal Museum is worth a visit to see the architecture alone. Particularly impressive is the cavernous central hall, which is filled with replicas of postal vehicles and features a model of China’s first regular air mail plane hanging from the ceiling. Tracing the evolution of the postal service (from messages scrawled on tortoise shells in ancient times, to the present day), the exhibition within is informative rather than riveting. There are a few highlights along the way however, such as letters from the Postal Commissioner in 1911 venting his anger at posties’ unacceptable behaviour including cycling around town with their shirts unbuttoned, smoking on the job and delivering mail late. How times have changed. Elsewhere, extensive collections of stamps and relics such as Qing dynasty post boxes can only divert your attention for so long, although the ‘Future Cinema’ provides a memorably bizarre opportunity to see how the people behind the museum believe the post will evolve. Must-see The real reason the Shanghai Postal Museum is so high on our list is its tranquil rooftop garden. Perched atop the building is a small seating area and patio. Here, beside the museum’s baroque tower decorated with telecommunication cables and figures of Eros and Hermes, you can enjoy sweeping views down Suzhou Creek towards The Bund and over to Lujiazui. It’s one of the best free views in the city. 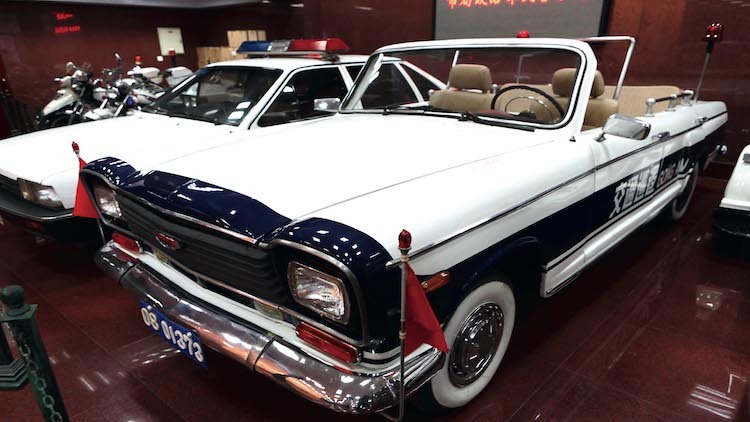 Few of the captions feature any English here, but plenty of the exhibits, such as the row of old police vehicles that line the entranceway or displays of small spy cameras, are enjoyable nonetheless. Following the development of the city’s beloved public security forces since they were founded back in 1854, the museum is certainly worth a few hours of your time. Rows of guns and knives sit beside models of Tilanqiao Prison (built in 1902 and still operating in Hongkou district) and waxworks of various foreign concession police officers. It’s perhaps not the most child-friendly display, but it is an interesting one for adults. On the third floor, things get really grown up. Here, the ‘Criminal Iinvestigation’ section features 1,000 exhibits detailing various murder cases and some of the evidence. Displays include grisly items such as a human skull impaled with a scissor blade along with graphic photos from murder scenes including that of a man axed repeatedly over the head. Must-see Also on the third floor, the collection of weaponry – from knuckle dusters, to sawn-off shotguns and even pistols carried by Sun Yat-sen – is oddly fascinating. Bringing together Chinese animation classics such as Shanghainese waif San Mao and Western favourites such as Jessica Rabbit (pictured above), the Shanghai Animation Museum is a kid-friendly museum that can easily occupy an afternoon. Both Western and Chinese animation histories are retold with opportunities to watch early cartoons such as Steamboat Willie, the first animation film with sound. Some of the more static exhibits and the frustrating amount of displays at adult eye-level may mean certain areas need to be skipped if you’re with very young children, but generally there’s plenty to keep them entertained. We recommend you skip the 3D cinema on the third floor however. Must-see The second floor features the most interactive section of the museum. Sand drawing and cartoon tracing activities are available, but the real highlight is the clay moulding station where (from as little as 10RMB) you can recreate cartoon characters in ceramics. 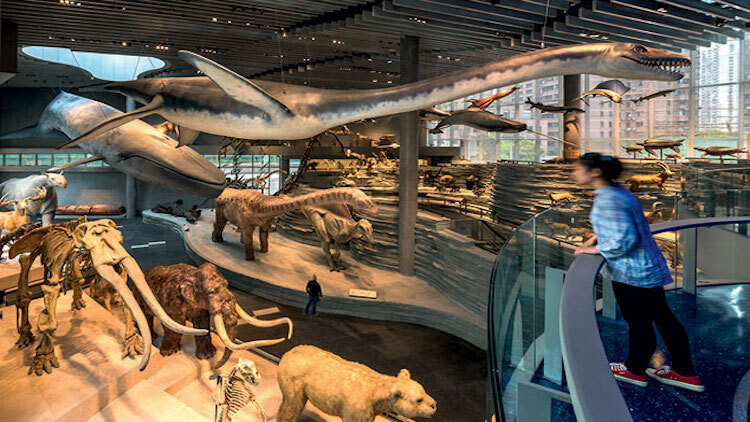 Although in some of the less interactive areas, Shanghai’s mammoth Science and Technology Museum can feel a touch dated, in general it’s one of the best museums in the city and provides easily enough entertainment to fill an afternoon. Immediately inside the second floor entrance, you’ll find the Animal World. The main exhibit in this section consists of a large, open room full of stuffed and model animals with a seeming emphasis on the predatory nature of the animal kingdom (growling, screeching attacks are found among each region’s display). Video screens, informative bi-lingual captions and binoculars are helpful touches and, aside from a pathetic attempt to portray Australasia’s animal world (which appears to be more of an animal hamlet here), the exhibition is generally well done. Once through this first room, you’re offered a trek through the rainforests of Yunnan, complete with dozens of plastic trees, running waterfalls, rickety wooden bridges and some oversized insects. Dotted throughout is the occasional live specimen, but Animal World is very much dominated by models and taxidermy. After this, things get much more interactive. Iin the east wing, the World of Robots offers the opportunity to compete against machines at Go and archery. On the next floor up, the Space Navigation area features a ‘tetraxon balancer’ where you’re strapped into a spherical machine and spun upside down at various angles. Around the corner is an opportunity to test the Coriolis effect by shooting balls at a target as you rotate in a giant, boat-like craft, while next door in the Human and Health area, you can take penalties against a computerised goalkeeper and ride through the human body in a piece of fruit car. Skip the central Iwerks 4D cinema, which is a let down considering the extra 30RMB entry fee. Otherwise, this remains one of the best museums in the city. Must-see The easily missed Light of Wisdom area, on the first floor, is like a big playground with all manner of fun games and ‘experiments’. Specially weighted bicycles that help you ‘dance on a rope’, games controlled by your concentration and exhibits for you to shoot at, hit and ride, make for an entertaining section. Yang Peiming, founder of the Shanghai Propaganda Poster Art Centre, acquired his first ever propaganda poster by mistake. 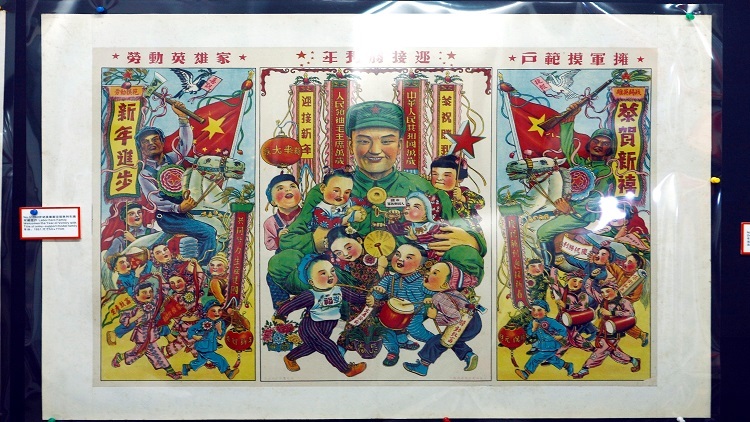 ‘Iin 1995, a friend asked me to get some Shanghai lady posters,’ he says, ‘but ended up with the wrong kind of poster.’ Since then, Yang has collected over 5,000 Chinese propaganda posters from between 1949 and 1979. Having displayed them in the hidden basement of a nondescript Huashan Lu tower block since 2008, Yang was finally given official recognition for the museum earlier this year. The collection, which Yang prefers to view from an art point of view rather than from a political one, features numerous examples of vitriolic, xenophobic messages alongside Communist slogans and colourful displays of China’s power and technological advancement. There is also a collection of the Shanghai lady posters that Yang was originally supposed to buy over 15 years ago. Yang, who will happily guide visitors around the basement rooms in English and Chinese, has been asked to provide works from his collection for international galleries such as the Victoria and Albert Museum in London and says that ‘no one in the world has as big a collection as Ii do.’ Iit’s a fascinating, important collection and an absolute must-see museum. Must-see Tucked away in one corner toward the back of Yang’s basement exhibition area is a small room sectioned off from the main hall. Displayed here are some of the most sensitive materials in Yang’s possession – hand-written and painted denunciation notices that were posted on university campuses during the height of the Cultural Revolution.